Male Voice Actors Looking for voice actors for two male roles in a video game. Great experience for portfolios and demo reels! Each role has 10 - 15 minutes of dialogue to record. The roles are: Main character: young man (age range 18 - 26, can be older if you have a young-sounding voice)Narrator: old man with a deep/raspy voice Check out our website here. If interested, please send a link to your resume and work samples to our email! Hello Loyal Followers! Sorry for the late devlog! We've been busy, but we're getting close to completing the Chapter 1 demo, which we hope to release at the end of this year or in early 2018. We're beginning to prepare for our crowdfunding campaign as well; we'll share the details as soon! Little Leaf Injured In his quest to unravel the mystery of the ghost of the forest, Little Leaf has managed to injure himself! Wouter has animated a painful-looking limp cycle for Little Leaf, and is now working on some cutscenes. New Designs Thanks to Cauã, we have some brand new headers for our social media pages, and a new Legendary Minutes logo! You may have also noticed some new dreamworld concepts by Oswaldo, like the one below. The rest of the team is just as busy! Rahul and Alexey continue to improve on the terrain, Leandro is endlessly programming, and Dillon is finalizing and adding in the first sound tracks. We can't wait to share all this with you! Hello Loyal Followers! Another programmer has joined our team! Leandro was incredibly helpful with our game jam submission; we're so lucky to have him on our team. INTERESTS I am a big art enthusiast, be it music, drawing, painting, acting, dancing, etc. And games are a way to apply art in many ways, so it is my main interest. As for actual programming I am most interested in AI and different gameplay mechanics. I also love learning languages. If you could be any animal, which would you be and why? This is a hard question, but people often say I would be a lion. Since I love cats and own one I would most likely vote to be a feline animal anyway, so a lion is good xD. What inspires you in Native American culture? Hello Loyal Followers!Introducing our newest addition to the team, Wouter! Hailing from Belgium, Wouter is a 3D artist/animator getting into coding and interested in voice acting. He has diplomas in Game App Design, Game Animation, and Woodworking (very useful for creating games). A dog, so I could lie around all day and eat things I shouldn't, just like now, except I wouldn't be judged for it. Hello Loyal Followers! We're excited to announce that we're participating in this year's Epic Megajam 2017! Our four-man team of Dillon, Alex, Rahul, and Tabrez are frantically prepping for the start of the week-long competition tomorrow. We'll strive to post daily updates on Facebook, Twitter, and Instagram and keep this page updated so you can follow our progress! 11/02 Update The theme has been announced! However vast the darkness, we must supply our own light. Time to start brainstorming! 11/03 Update Leandro, a programmer from Brazil, has joined our team! Welcome Leandro! ll/13 Update We've posted a trailer for Shaanti on YouTube! You can also listen to the full soundtrack Dillon created here. Enjoy! Hello Loyal Followers! We have some exciting news: we've hired a new programmer! Stay tuned for his bio post sometime in the coming week. First Steps Little Leaf's walk cycle is finished! 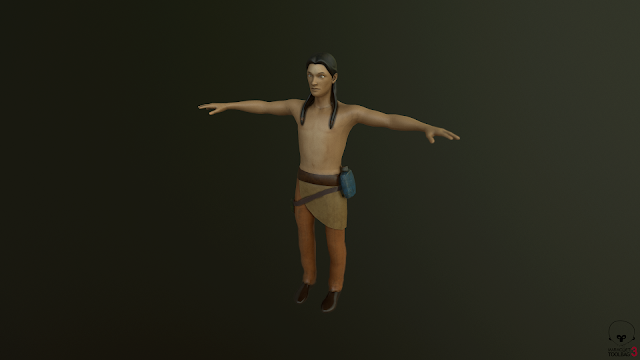 Radacal is working on a fix for his clothes phasing through his legs; other than that, he's ready to traverse the beautiful terrain. Terrain Speaking of terrain, Alex and Rahul are continuing to add life and diversity to the terrain, as you can see in these new images. It looks more real every day! Hello Loyal Followers! 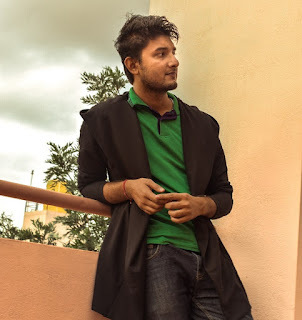 Last week we finished off our series of team bios with our Environment Designer Rahul. Now that you've met our team, I can start calling everyone by name! A Sneak Peak of the Terrain For quite a while now, Rahul and Alex have been working tirelessly on the terrain. They've made a huge amount of progress in the last couple weeks, so we finally have something to share with you all! Keep in mind these are still works in progress; Rahul and Alex are still finishing up the textures and shaders and will continue to dress up the scene as development progresses. Design & AnimationOswaldo is concepting the campsite scene and the Dreamworld while Cauã is finishing up the designs for the Legendary Minutes logo. Radacal is making some final tweaks to the crow's flying animation and to Little Leaf's run cycle. I'm also finishing up Little Leaf's walk cycle. Hello Loyal Followers! Finishing off our round of team bios is our Landscape Designer, Rahul. The idea of using limited resources in very practical ways and also the knowledge of the nature of plants and animals in great depths, while respecting the very nature of their existence. And that's our team! We've got some exciting developments in the works, so stay tuned for our next devlog. Hello Loyal Followers! While our team is busy working with terrain, animations, and more, lets introduce our next member, our Game Designer, Tabrez! INTERESTS I just love making games. All that matters is a cup of coffee, chocolates, and the game. Reading books and fantasy worlds help me in developing my skills. I would love to be fox. They are sharp, smart enough to read minds, and are super awesome cute! Their style of living life is very simple and hard working. They are strong; their creativity helps in producing their own goods for living. 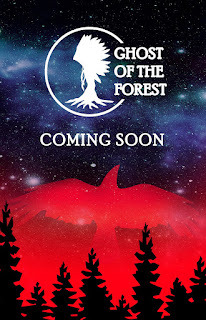 Don't forget to head over to ghostoftheforest.com to sign up for our newsletter! Hello Loyal Followers! 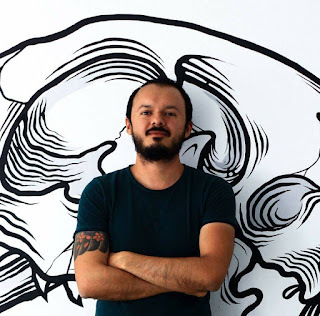 We're proud to introduce our colleage and friend Oswaldo, our 3D Artist! As we shared on our Facebook page a couple weeks ago, this is the same man whose selfless relief efforts helped many people after the earthquakes in Mexico. I would be a crow or an eagle; it must be great to feel that sensation of flying and freedom. What inspires me is their connection with nature and all the spiritual wisdom they share. Hello Loyal Followers! I hope you are all doing well! We still have three team members left to introduce, but for the moment, let's take a break from the team bios to share some animation progress. Little Leaf's Many Faces In preparation for the difficult journey ahead, Little Leaf has been doing some facial exercises. He has eight unique expressions here; can you name them all? The Raven Radacal has breathed life into the Raven, Little Leaf's guide throughout the story, with this first pass at a flight cycle. Hello Loyal Followers! We're making progress on the terrain, soundtrack, and animations for Little Leaf and will have something to share soon! Meanwhile, our series of team bios continues with our Sound Director. INTERESTS Besides creating and playing games, I enjoy making music in my spare time. I am a solo artist in an indie electronic band called Safehouse. I also love watching/playing sports such as hockey and baseball. I'm die-hard Mets and Islanders fan and am craving a championship! I would be an elephant because they are smart and intelligent animals. They can use tools, read human body language, and even mimic voices. Elephants also have a strong memory and are extremely loyal to their herd. Hello Loyal Followers! I'd like to introduce you to our talented artist, Cauã! INTERESTS Video games, oh... really? I like parties, movies, long walks, funny Photoshop montages and talking to weird people. I like how selfish cats can be; I also love seahorses. Either of those two would be nice. Their connection with nature... That's just amazing. And if you missed it, our website is officially live! Check it out at ghostoftheforest.com! Hello Loyal Followers! I know you're all waiting on the edge of your seats for the launch of our website this Friday. Only a couple more days to go! While we wait, it's time to introduce another team member! INTERESTS Hiking in the mountains and travelling to new places. Probably a bear because they get to eat lots of berries and sleep through the cold months. Unique personification of animals and natural forces which beautifully shapes the art, poetry, music and traditions of Native Americans. Don't forget to sign up for our newsletter to get a free map of Chapter 1! Hello Loyal Followers! Our team is hard at work on Ghost of the Forest. In the meantime, we'd like to start a series of team bios to introduce who we are and what we each do here at Legendary Minutes. I'll go first! INTERESTS Besides video games? Clay sculpture. I enjoy working in three dimensions and the feeling of clay in my hands. I've included a picture! An eagle for their exceptional eyesight (no more glasses for me! ), the flying would be nice too. Their resourcefulness, taking only what they needed from the land and making the most of what they had. I think we could learn a lot from them. Little Leaf's pictures are here! We have our first pictures to share! Here's the new model and textures for Little Leaf that I mentioned last week. He's all ready to go on an adventure! Our animators are working diligently to bring Little Leaf to life. He'll be walking, running, jumping, and climbing in no time! Design Our designer is working on a new logo for our Legendary Minutes studio, and our sound designer is continuously creating and editing the soundtracks for the game. Website The only thing missing from our soon-to-be-launched website is a FAQ. What questions would you like answered about Ghost of the Forest? Please comment below or on our Facebook or Twitter. Hello Loyal Followers! Thank you for sticking with us despite our long silent periods. We are still working hard on the game and appreciate your continued support. We've finally settled into a steady workflow, plus we've got a dedicated person working social media now (me!) so our updates should be more frequent and informative moving forward. 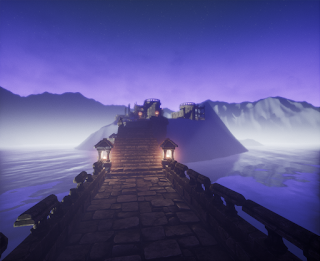 Unreal Terrain Unless you follow us on Facebook, you probably don't know that we switched from Unity to Unreal Engine this summer, unlocking new possibilities for our terrain, characters, animation and visual effects. It's an extremely versatile engine and we're excited to see what we accomplish with it. Thanks to the new engine and a lot of hard work, our raw terrain is coming along nicely! It's almost ready to share, just needs a little dressing. 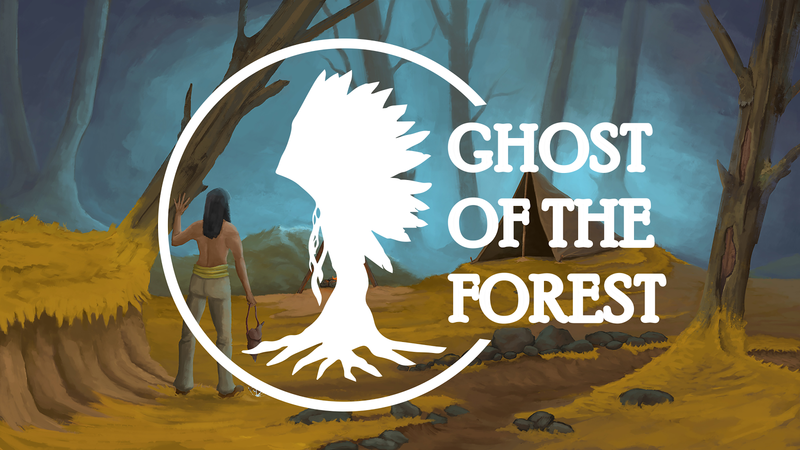 Welcome to the official Ghost of the Forest development blog! Check back regularly for updates, screenshots, and videos of the game. We will frequently be posting developmental updates so you will never have to miss a beat to Little Leaf's adventure. Thank you again for visiting our official blog and we are looking forward to keeping you posted!